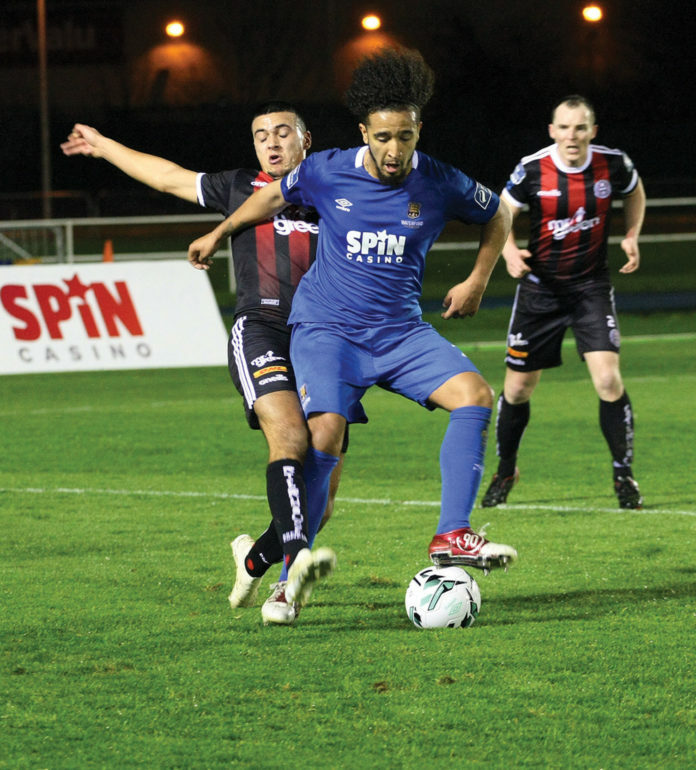 Waterford FC had to settle for a point against unbeaten League leaders Bohs at the RSC on Friday night last. The Blues held the upper hand for long periods of the game but the visitors kept things tight at the back and confined the Blues to a handful of chances. Waterford FC manager Alan Reynolds rang the changes after the Blues loss to Derry City, in came goalkeeper Hugo Keto, Georgie Poyton, Cory Galvin and Izzy Akinade. The Blues had the major share of possession but Bohs manager Keith Long came with a game plan to play with a solid back four and pack the mid field, his tactics worked as the visitors frustrated the home team and the home support. However over the course of the ninety minutes it was Waterford who created the best of the goalscoring opportunities and it was Bohs keeper James Talbot who walked away with the man of the match award. It was the home side that created the first chance of the game on seven minutes when Bastien Héry slipped the ball into the feet of Cory Galvin on the left-side of the penalty area, but his well struck shot was well saved by Bohs keeper James Talbot. On 20 minutes Bohs surprised the Blues with a quick counter attack, Luke Wade Slater played in striker Keith Buckley but his left foot shot from the edge of the box flew just past the far post. With so many bodies in mid field the Waterford defenders Kenny Brown and Damian Delaney had to go long to the head of Izzy Akinade however many of his flick headers failed to find a team mate in support. The Blues defence had to be on their toes as Bohs looked to break quickly and Damian Delaney used all his experience to stop Danny Mandroiu as the Bohs striker raced in on goal. On the half hour mark Bastian Hery escaped the tight marking of Bohs as he played a perfect pass into the run of Akinade, however Bohs defender Derek Pender made a timely interception. On 27 minutes Ali Reghba raced onto a clever flick from Dinny Corcoran but the Bohs winger lost his composure and drove his left foot shot wide of the near post. 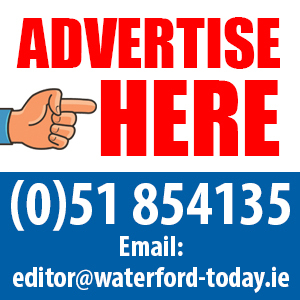 Waterford had the last chance of a drab first half when on 35 minutes Blues striker Zack Elbouzedi cut inside two Bohs defenders but his left foot shot just cleared the cross bar. The second half was only 6 minutes old when Bohs created a really good chance, Dinny Corcoran picked out fellow striker Manroiu who headed for goal, however Blues keeper Hugo Keto and defender Kenny Browne combined to shut out the striker. At the other end on 61 minutes it was Browne should have given Waterford the lead goal on the hour mark. Georgie Poyton clipped a corner kick to the far post and with the Bohs defence ball watching Kenny Browne stole in at the far post but he failed to make a proper connection and keeper Talbot made a comfortable save. The Blues now began to pressure Bohs and on 63 minutes Bastian Hery laid the ball off into the path of Scott Twine but his low effort from outside the penalty area was saved at the second attempt by Talbot. It took a brilliant fingertip save from Bohs keeper Talbot to keep his side level ten minutes later when Rory Feely got on the end of a right-wing JJ Lunney corner kick, but his header was tipped over the crossbar as the Blues continued to control the second half. Unfortunately in the closing stages there was no way past a packed Bohs defence and at the of the game the Blues had to be happy with a point. Next up for Waterford is an away trip to Oriel Park to face last seasons champions Dundalk.